View our available workshops below. To find out more information & to register for an individual workshop click on the event. Training certificates will be issued at the end of the workshop. To receive a certificate, you must arrive on time, participate, and stay for the entire session. Late arrivals of more than 15 minutes will not be admitted to workshops. Children - Unfortunately, we are unable to accommodate children during a workshop. Please make alternate arrangements. Registration - Prepayment is required for all workshops. Credit card payment can be taken over the phone. Debit, cash, or cheque payments are taken in office. 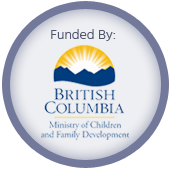 Methods of payment - Credit (Visa or MasterCard), debit, cash, or cheque (payable to Abbotsford Community Services). Workshop cancellations (regular workshops) - Registrants can cancel up until two full business days prior to the scheduled workshop date. Cancellations received before the deadline will be given a workshop credit (not a refund) to be used towards future workshops at Abbotsford CCRR. Workshop credits are valid for one year from the date of issue. Due to unforeseen circumstances, workshops may be subject to change or cancellation, in this case we would issue a refund. Course cancellations (First Aid and Responsible Adult) - Registrants must cancel one week (5 business days) prior to the course/class start date in order to receive a refund. The original receipt must be provided prior to refund.